There has been a huge amount of publicity recently about the plan to possibly mount a "surface to air" missile system to protect the Olympic stadium from suicide bombers on the top of a residential complex. I drove past the proposed site this morning and TV cameras were still outside. I even saw the story featured on "Russia Today" television. What hasn't been mentioned widely is that the site is actually the old Bryant and May factory in Bow where the famous "matchworkers strike" of 1888 took place. 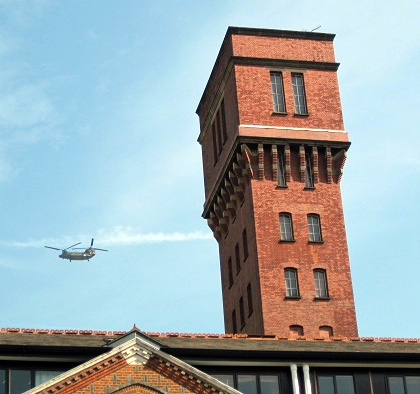 Hat tip to Mick Hartly for this photo of a helicopter next to the Lexington Tower where the missiles are thought likely to mounted (if the plan goes ahead). Yesterday afternoon Labour Mayor Candidate Ken Livingstone was in Newham for the annual march by Sikh's to celebrate "Vaisakhi" their New Year. Ken seen here (centre) with East Ham MP Stephen Timms was also accompanied by Assembly candidate John Biggs and Unmesh Desai. 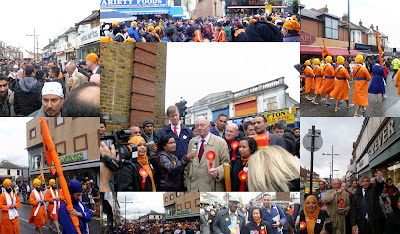 Newham Mayor Sir Robin Wales and West Ham MP Lyn Brown were also present. There were thousands of people in the procession and lining the streets. The rain held off and there was even sunshine. It was very colourful with drums and music. Food and drink given out for free. Ken was mobbed by well wishers and supporters. Last week I heard that one of our employers wants to meet my trade union branch to "discuss" closing their defined benefit pension scheme. At the same time an union pension trustee colleague sent me this link to an article by the "Daily Telegraph" on defined benefit schemes struggling to stay open. The article itself was as usual for the "Torygraph" ill informed and biased, shaped by the self interest of it's owners and its advertisers' but what I found interesting was in a on-line comment by "mchenry" about final salary schemes. I support mchenry's argument that a key reason why private companies have been closing their pension schemes and therefore creating "penury for millions of ordinary workers in the future" is not to do so much with people living longer or the (mistaken) past taxation of pension funds but instead it is "a frankly insane requirement to value long term liabilities spread over decades via volatile short term measurements". This is the legal accounting requirement of pension schemes called "Mark to Market" (or even more laughable - "Fair value") Accounting. What this means is that pension fund liabilities (the promises made so far by the scheme to pay pensions now and in the future) which may be spread over the next 60 years are costed using completely daft and inappropriate means. UK Government bonds which are currently on a 200 year all time historic low have to be used to price the future cost of pensions to the scheme even if this notional cost is decades and decades from now. Would you take out a £150k mortgage to buy a house if depending on events entirely out of your control this mortgage liability could just jump up in a matter of months to £300k? Also if your credit rating was based on your ability to pay all your loans and mortgages off immediately - would you be declared bankrupt? Which is all completely and utterly bonkers. "Mark to market" accounting makes it appear that perfectly good pension schemes are in massive deficits. These "deficits" have also been completely unpredictable and volatile in recent years and months. Since the so called "deficits" must appear on the company accounts, no wonder some finance directors panic. Not only this but because of these entirely artificial measurements the investment policy of pensions schemes is being driven entirely off course by this "funny money" calculation. Schemes may be tempted to take all sort of riskier investment options or even buy totally unnecessary insurance policies to reduce these artificial "deficits". Look, there are huge problems and challenges that defined benefit schemes need to face. But we need to deal with the real problems of uncertain market returns and longevity not stupid accounting rules no matter how well meaning. Unless we sort this out millions and millions of Brits will be spending the latter part of their lives in the misery of abject poverty. Picture of London UNISON Convener Gloria Hanson and NEC member Irene Stacey (left) with Labour Mayor Candidate Ken Livingstone. 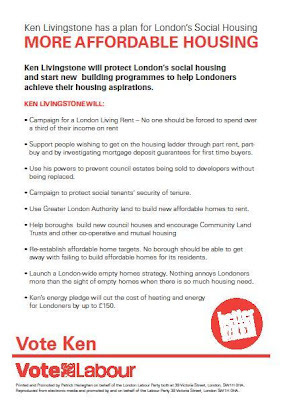 In my (totally unbiased view) it is absolutely vital that everyone who cares about public services in London goes out next Thursday and votes for Ken and all Labour candidates. Last Saturday I was campaigning in Arthingworth Street, West Ham, E15 with my fellow ward Councillor, Freda Bourne. I took this picture of the memorial to 25 year old Police Constable Nina Mackay. 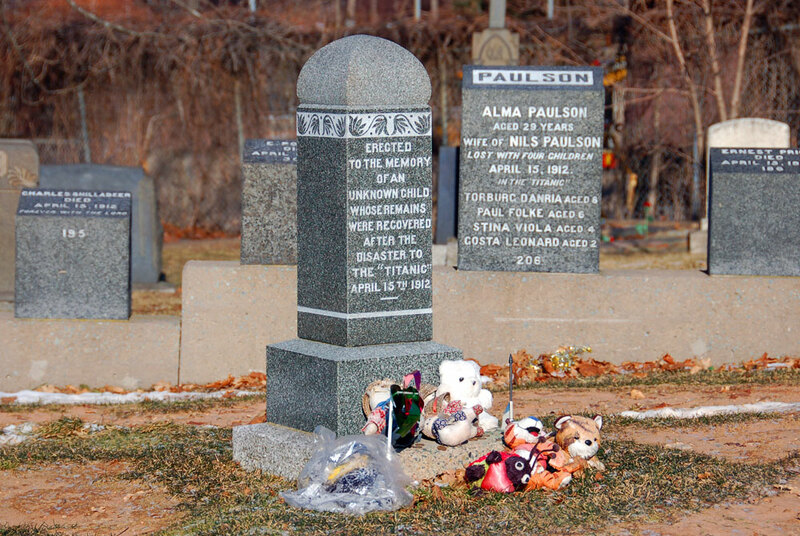 She had been murdered in 1997 at this address while trying to arrest a mentally ill man. I can still remember the shock that I felt at the time on learning about her death. 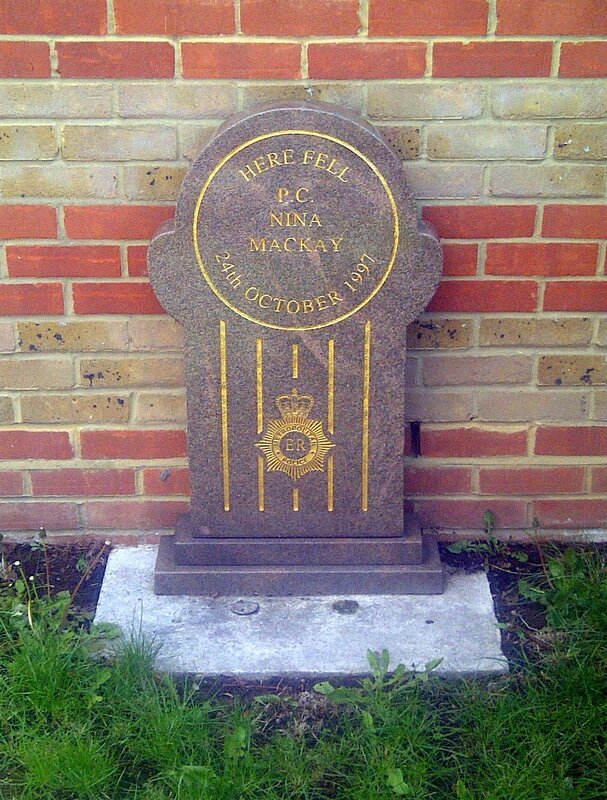 This is a quiet and normally peaceful back street area and it is very sobering to come across such memorials to a public servant who died in the course of her duties while trying to protect the public. Tomorrow is also Workers Memorial Day. 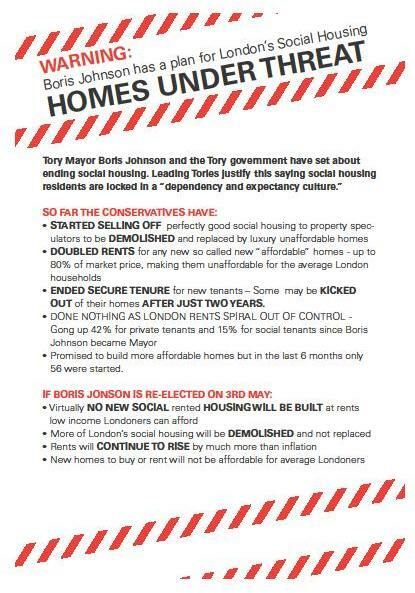 Great template leaflet from London Labour Housing Group for Social Housing residents (double click to bring up detail) but I think everyone is interested in affordable housing. "Guernica is a painting by Pablo Picasso. It was created in response to the bombing of Guernica, Basque Country, by German and Italian warplanes at the behest of the Spanish Nationalist forces, on 26 April 1937, during the Spanish Civil War. The Spanish Republican government commissioned Picasso to create a large mural for the Spanish display at the Paris International Exposition at the 1937 World's Fair in Paris. Don't...Stop...Me..Now..I'm going to make an unemployment figure out of you! It's a bit rude but all about Posh Boy No. 2. From the same folk who gave us the superb "The Common People". Check out "The Levellers were a political movement during the period of the English Civil War. They were ahead of their time, with beliefs in democracy, religious tolerance, and social justice. It was the Levellers' highest ranking supporter in the Army, Colonel Thomas Rainsborough MP, who coined the movement's most enduring phrase, when he declared, at the Putney Debates in 1647: "For really I think that the poorest he that is in England hath a life to live, as the greatest he”. Levellers Day commemorates a stand against dictatorship by Leveller soldiers in 1649 and its suppression by Cromwell. Over three hundred soldiers were locked up in Burford church; three were executed as ring leaders and buried in unmarked graves in the churchyard. A plaque commemorating them was placed on the church wall in 1979. The words ANTHONY SEDLEY 1649 PRISNER scratched on the font of Burford church by one of the soldiers, can still be seen. 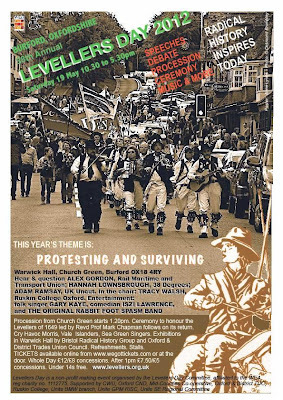 Levellers Day was initiated by the Oxford Industrial Branch of the WEA in 1975 to remember the Levellers and their ideals and to update and relate these to our own time through debate, entertainment and any other way that makes the subject matter inspiring, educational and enjoyable. It’s held on the Saturday nearest to 17th May, the date the three men were executed. 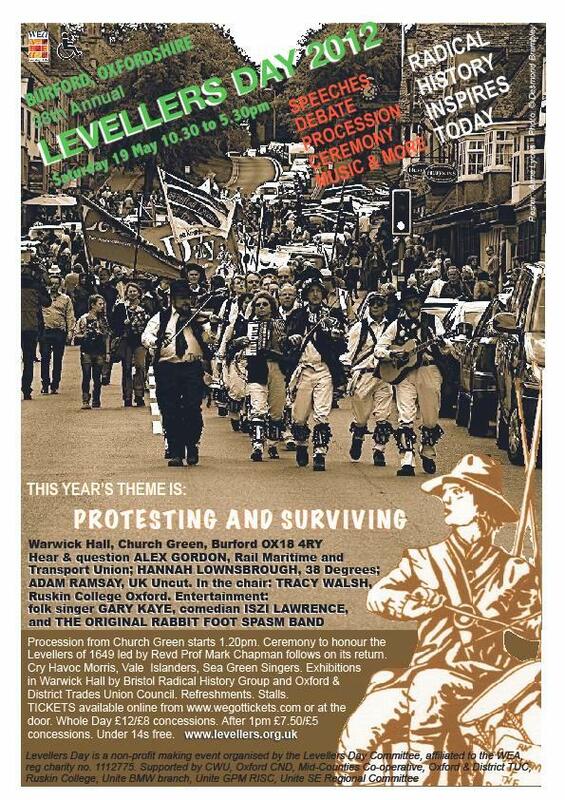 See www.levellers.org.uk for more details and also facebook and twitter". Happy St George Day! The Clash "This is England". While I am proud to be Welsh/Scots I have to accept that I have chosen to spend most of my adult life in England. So Happy St Georges Day! London Marathon 2012: Never, Ever Again! 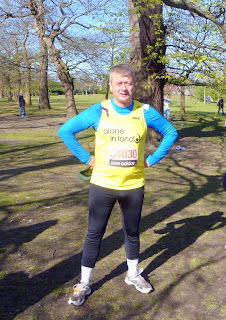 This is a picture of me this morning in Greenwich Park just before the London Marathon 2012. The calm before the storm. I did the London marathon in 2002 and swore afterwards never to do it ever again. But last year I thought "it wasn't that bad? surely its time to do another one". So I stupidly applied for a place via my employer with the Homeless Charity helping young people called "Alone in London". I simply didn't train enough long distance and I think I should have done more road running rather than footpaths. On the plus side the weather was warm and sunny nearly all the way. The crowds of Londoner's lining the route were fantastic and they were really supportive. 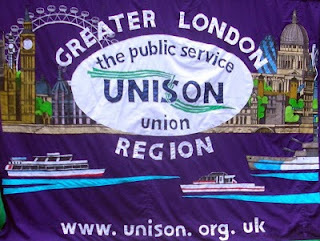 At Surrey Quays there was a UNISON support station where I got a free Fruit pastille from Cadet Swing. In the Isle of Dogs I met one of my fellow School Governors and her family. Sometimes people were a little harsh on those who at the time were walking rather than "running" but I think it was meant well. Mind you I would have been faster if I ran/walked instead of shuffled. It was I admit a bit embarrassing to be "speared" and then overtaken by runners dressed in Rhino costumes! Also at the end I was running alongside someone dressed in a heavy (and must have been hot) Womble Costume. I thought that I must beat him to the finish. But he kept increasing his speed. However, he was distracted by a group of excited young female spectators and stopped to say hello to them giving me the chance to steam (slowly) past and cross the finishing line. Result! You can still donate to "Alone in London﻿" by clicking below or you can send me an email with a pledge. I will keep this open for the next couple of weeks. Now less than 24 hours to go. I've prepared my running gear. My number is 34030 and I'm wearing a bright (fluorescent!) yellow "Alone in London" running vest on top of blue tee shirt and black tights. The weather forecast is sunshine but some light showers in the afternoon so I'll probably wear a green cap (with UNISON logo). 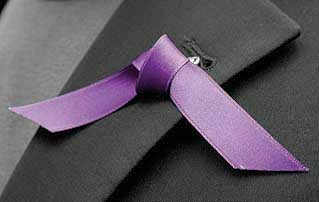 I will also wear a Workers Memorial Day purple ribbon. A number of people have said they will be looking out for me but I will be listening to music (to dull the pain) via headphones. So apologies if I do not hear you. I will be looking out and rest assured that I will not be dashing past anyone! The mass start is 9.45am, I'm in the Red Wave (of course). In 2002 I took 4 hrs 24 minutes which I would like to beat but based on my training runs I will be lucky to do it under 5 hours. Picture is from feature in this week's Newham Recorder. You can donate to "Alone in London﻿" by clicking below or you can send me an email with a pledge. I'm off now to stock up on pasta and pizza! and then move on to Tower Hamlets. It is good for political junkies such as myself to ring ordinary people up and ask about their voting intentions and then realise that they had not hitherto given the matter any thought what-so-ever! London Marathon 2012 Wk 26: "how will I get through it?" 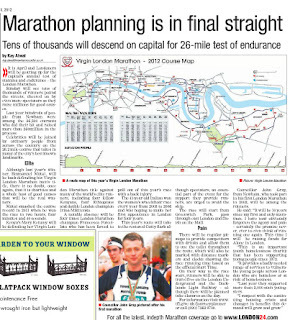 Now there is less than 3 days to go before the start of the London Marathon 2012. Week 26 of my marathon training finished on Sunday when I did my last long run in Epping Forest. Starting from Queen Elizabeth hunting lodge in Chingford then a 75 minute run around and inside the forest. Epping Forest is the Jewel of East London. The best part of the run was through the forest along the little used paths and trails. You may get lost from time to time but the solitude is well worth it. You would not believe that this ancient woodland is so close to central London. Yesterday I registered and picked up my London Marathon 2012 "running pack" from the Newham ExCel centre. On the way into the main Exhibition hall there was this "how will you get through it" message board. All runners were encouraged to write something about how they will get through the run. I made some silly comment on it but the truth of the matter is that for most of us it will just be one long, knackering and bloody painful experience. I did the London Marathon 10 years ago and afterwards swore that I would never do it again. Of course, eventually I forgot how awful it was and began to think that it wasn't that bad and I should give it another go. So I am. But it is only now that I have been practising the long, long training runs that it all comes to back to me how 'orrible distance running is. But I have committed to run and will hopefully give it some purpose by raising money for a charity set up to prevent young people becoming homeless and helping them out of it if they do. Check out "Alone in London". Click here to sponsor me on the Justgiving website or click below. This evening I helped out the Labour Party campaign in Tower Hamlets where there is a council by-election in Spitalfields ward. This by-election was caused by the jailing of the former "Independent" Councillor (and supporter of the "independent" Mayor Lutfur Rachman) for housing benefit fraud. Our Labour Labour Party candidate is Ala Uddin (who BTW sits on the Board of two Housing Associations). The campaign hub is in 68 Brick Lane above the office "Gram Bangla" only 5-10 minutes from the Aldgate tubes. The weather tonight was pretty awful. Mostly rain, rain or more rain. Firstly I went out leafleting and got a little wet. Then I went out canvassing and got very, very wet. I knew most of the team and they were very welcoming and pleased to see a supporter from their sister borough of Newham help out but I did wonder a little if we were all playing an East End version of "chicken" in the rain. If I had not been there would this Tower Hamlets team have said "lets go and take shelter until it stops raining" but they couldn't say this in front of me? While at the same time I was thinking in Newham I would have said to the team "lets keep out of the rain until it slows down". But of course I couldn't possible let Newham down by being the first to suggest it to these Tower Hamlets bods! 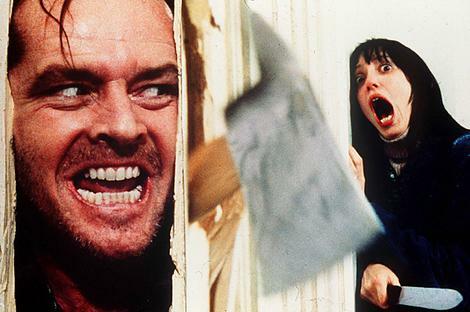 The soggy canvassing for Labour actually went well. But turnout in this election is going to be key. I did have a honest conversation with one resident who told me that he and his family were Labour supporters but felt obliged by family connections to vote for the independent "mayor's candidate". They were postal voters who had already voted so I have my suspicions (but cannot prove) how this family had to prove their "loyalty". Labour I think can win this seat if it can get out our vote. So if you can help tomorrow then please do, you will be made most welcome. Just turn up to the Brick Lane office. I am sure as well that the weather tomorrow will be absolutely marvellous (but take an umbrella). International Workers' Memorial Day (IWMD) takes place around the world on 28 April each year, with many wearing the purple forget-me-knot ribbon. The day and the ribbon are about remembering those who have died, been injured or made ill by their work, and about renewing our demand for safe and healthy work to protect those who are still working. In the UK, work 'accidents' cause up to 1,600 deaths a year. These include work-related suicide, road accidents while driving for work, and members of the public killed by someone else’s work. There are up to a further 50,000 deaths from work-related illnesses, including cancers, respiratory illnesses and heart disease. Figures for non-fatal injuries and ill-health caused by work are far greater. The numbers behind Worker’s Memorial Day. This year, IWMD falls on a Saturday, so UNISON is supporting the TUC call for a Day of Action on Health and Safety. If not at work on Saturday 28 April, many UNISON members will also want to organise something at work to mark IWMD just before. You could consider organising something at work for the Friday or Thursday. UNISON's national health and safety committee will be holding a minute's silence at 12 noon when it meets on Thursday 26 April. UNISON staff across the UK will also be taking part in this minute’s silence. Why not join us? In May London Councils are discussing principles and priorities for 2012/15 with a view to commissioning in summer 2012. The centre provides health and safety advice and training, the branch is affiliated. Stewards may wish to write to their local authority urging the London Councils to continue commissioning the health and safety advice work from London Hazards. 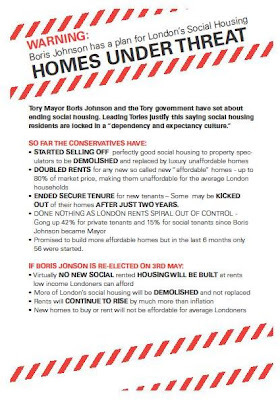 (Hat tip UNISON Housing Association Branch). "Voters across the country are being hit hard by public spending cuts. The unemployed young person who has lost the help they need to find work, the elderly person watching their social care services disappear, the low income family that has lost thousands in tax credits. Meanwhile, the richest 1% are in line for tax cuts in coalition Britain. "In May's elections voters face a stark choice. Vote for the coalition parties and vote for cuts, or vote for the party that cares about public services. 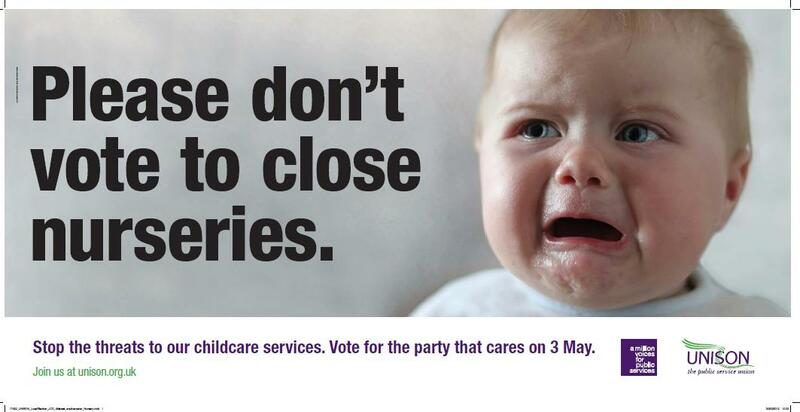 UNISON's campaign is aimed at making sure voters make the right choice at the ballot box in May." Last weekend was the 100th anniversary of the sinking of the Titanic. Which obviously was a great tragedy at the time. However, Michael Walker at Hayes People History posts here about the many myths and some ugly truths about the disaster. The worse being that your chances of survival that night and that of your children depended upon your "class". Horrifyingly "While five out of six children from first class survived, less than a third of the children of third class passengers survived. Compare these statistics to the plight of the nine pampered dogs on board, two of whom were saved, statistically proving you had more chance of survival as a dog on the Titanic than a working class passenger". 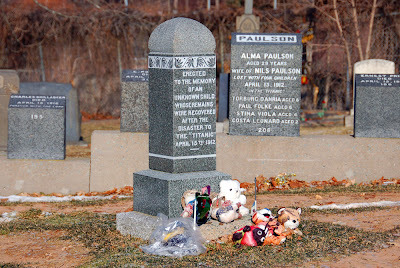 Hat tip here picture (double click to bring up detail) of an unknown child victim from the Titanic. 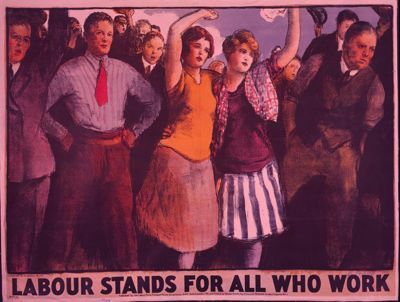 Labour Party to take the trade union shilling? Ed Miliband's announcement today that he supports a cap on political donations of £5k as long as trade union levy payer are allowed to affiliate for £3 each per year could be a basis for some sort of compromise over political funding. A £3 per year levy would work out at about 5 new pence per week (a shilling in old money). On the one hand I still think what on earth it is the business of anyone but trade unionists how much and where they democratically decide to donate their individual (tiny) affiliation fees? But I do accept that British democracy has to do something about this cancer of big business and the super rich bankrolling British politics. Of course the Tories are already being dismissive of Ed's proposals and instead of a £5,000 cap they want a staggering £50,000 individual cap (or £500k for a couple during the course of one government)! Which is just corrupt and corrupting. Not good for any democracy. Sensible Tories know this. There are significant risks for the trade unions in agreeing to stop making extra contributions on top of levies but also I think huge opportunities. The affiliated unions would have to really concentrate on getting our members to join and participate in the Party in order to progress our values and beliefs. We also have some Labour politicians who pay lip service only to the trade unions and if they want out support will have to get out and do things rather than stand back and just take us for mugs. The clever money (pardon the pun) at the moment is that the Tories will just refuse to come to a consensus and will try to impose something that suits them. Which I think is plain wrong and stupid. We need to sort out this funding mess. Decent Tories (and there are one or two) hate the idea as much as I do that many of our people (not all) think our political system is abused by the rich and the powerful and is therefore discredited. This is damaging and must be dealt with. These extremely modest proposals by Ed can potentially only do good. "We are Londoners, not actors"
The Tory bloggers are being even more silly and desperate than usual by getting themselves in a lather over false claims that Ken's Public election broadcast here was by actors not ordinary Londoners. Also that Ken was not genuinely emotional at the launch of the broadcast. What is wrong with these people? The nasty party getting worried that Ken will win I suppose. Click here to donate to Ken's fighting fund and Eddie Izzard with double your money! Hat tip to Captain Swing for this link about Thomas Richards﻿ (1910-1995). Thomas started life as a Coal miner in Wales but became a nurse. 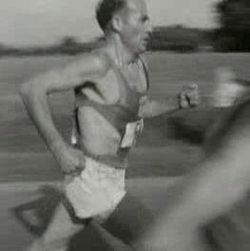 He won the Marathon Silver medal during the 1948 London Olympics - 16 seconds behind the winner. He ran the marathon in 2 hours and 35 minutes. 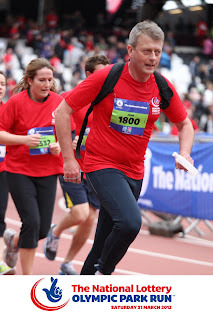 Which is probably going to be twice as fast as my attempt at the 2012 London Marathon next Sunday (if I am lucky). No other Brit has come as close as Tom to winning Gold for the Marathon at the Olympics. The world record for the marathon is now an incredible 2 hours and 3 minutes! For some reason or other the Tax Evader's Alliance (which is also known as the Tax Payers Alliance/ TPA) did not use this post's title for their "report" published yesterday about Council Pensions (the LGPS - local government pension scheme) Funding. Instead they continued with their selective scaremongering about so called "New Research" and a "£54 billion "black hole". The truth of the matter is that funding of Council pensions has improved by a colossal £37 Billion in just over a year. You would have thought that this would be a cause of celebration if you were genuinely concerned with tax payers exposure to pension liability? Of course the the way that all funded pension funds assets and liabilities (private and public) is calculated is barmy. But that is another story. The fact that they don't appear to know or care shows them up to be the extreme right wing "nasty party" Tory front that they pretend not to be. So desperate are they to discredit the pensions of cleaners, lollypop ladies and town hall clerks that they compared (the totally unfunded) Police Officer pension contribution rates with the LGPS. What rubbish? The schemes are chalk and cheese. Council pensioners would love to retire with a full pension after 30 years service and many would pay more if they could do so. Maybe they should have titled their report "TPA want all Council workers to retire at 50"! 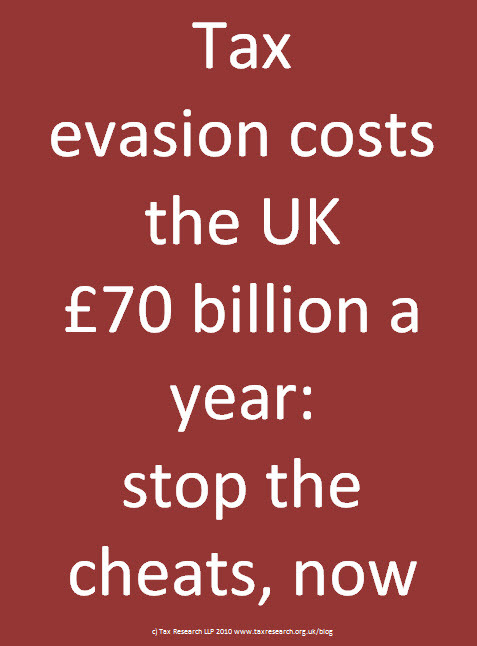 The real nonsense about the Tax Evaders think tank 4 thickos is that they say nothing at all about the real scandal in British taxation. 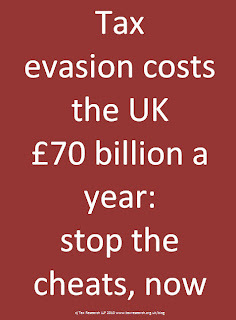 The individual and corporate tax cheats who cost the UK £70 billion a year (every year - repeat £70 Billion). Maybe because some TPA directors don't pay any UK tax and some of their funders are serial tax evaders while others simply want to privatise the LGPS so they can rip it off? This pdf (front page) was circulated amongst UNISON London regional International committee members via our Chair Ruby Cox. (double click to bring up detail). This campaign encourages schools to check their their uniforms are not made by child labour makes perfect sense. "Ethical products can be surprisingly competitive. As clothing workers only get a tiny 1-3% share of sale prices, their wages can be increased with little or no rise in cost to parents. Increased volumes reduce prices". We also need to make sure that our pension fund investments do not exploit child labour. You can download a full copy of the pdf here. Last November I took part in a debate with Bill Martin from the Socialist Party (Great Britain). The debate was about "should trade unionists support the Labour Party?". I posted on the debate here. After some delay (Bill explained that the "wheels of the internet grind slow, slow, slow" which since he is a University librarian this must mean something clever) finally the speeches by comrade Bill and I have been uploaded (audio) on their web site. So if anyone has any difficulty sleeping for what remains of this Easter holiday and for some reason wish to hear the different viewpoints on this "great debate" then the link is here. It's about 25 minutes in total. Although Bill and I of course politely disagreed with each other about the main topic to hand it is only listening to him again that I remembered what sound (and very direct) views the SPGB have on "the newspaper sellers". It is a shame that the Q&A hasn't been posted yet since my Labour Party and trade union ringer, Dave Draycott made some great contributions. Now less than 2 weeks to go. There is not a lot I can really do to make the big day that better. But I thought that the long run this week should be as tough as possible since from now on I should be reducing the training programme. Run of the week was on Easter Sunday. I was staying in the historic village of Berwick St John in the Ebble Valley, Wiltshire. I ran (slowly) up to the hilltop path called the Herepath or the Salisbury way. This is an ancient ridgeway highway with glorious ridge views. I ran for over an hour and didn't see anyone, not a soul, except grouse and startled deer. Brilliant. I was entertained along the route by alternating between my Walkman and the simple joy of spring bird song. I ran back along undulating country lanes past thatched manor houses and Saxon Church's. There and back took 2 hours 40 minutes. I later went out to the opposite ridge for a ramble which took about 3 hours but also had spectacular views. Finished the day off with a roast dinner in the thatched Crown Inn in Alvediston. A good day. I was completely shattered at the end of it. Hopefully it will make the Marathon itself on 22nd April a little easier (doubt it - it is just going to be pretty bloody 'orrible). I am running the 2012 London Marathon for a charity set up to prevent young people becoming homeless and helping them if they do. Check out "Alone in London". Click here to sponsor me on the Justgiving website or click below. This is of course strictly in my personal capacity only. But while I don't know all the candidates standing in this year's London UNISON Service Group Election elections. The following are not loony left "lets all go on strike to bring about the revolution". I'll try and find out who are the similar forces of light and reason candidates standing elsewhere outside London. Guest post by Joel. "I am standing for the Greater London region general seat on the Community Service Group Executive. I have worked within the community sector for several years, and am currently employed as a mental health support worker for metropolitan support trust. 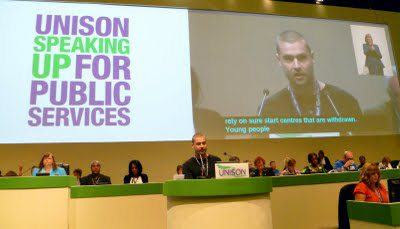 Within UNISON I am chair of the national young member’s forum, and sit on the national labour link committee, I am also active within the London region and chair of my branch. The Community sector is one of the fastest growing sectors within UNISON and I believe passionately in the need for a strong community voice within the union. The sector has grown in recent years as greater numbers of roles traditionally carried out by staff directly employed by the NHS and Local authorities have been outsourced to the community sector. This has often resulted in attempts to push down terms and conditions. Likewise, as a result of the coalition government’s programme of cuts, many community organisations are losing funding and are increasingly slashing wages to win contracts. At this time UNISON as the biggest union representing workers in our sector, needs to be at the forefront of campaigning for decently funded and sustainable services provided by the community sector, and wages and terms and conditions which are decent and fair. We need to show that an alternative to the race to the bottom, so often seen in our sector- is possible and viable. We need to build our density and organise in the sector, and put pressure on our employers to accept recognition agreements where these are not in place, and allow the same levels of facility time/ release as seen in other sectors providing public services. Too many organisations within our sector attempt to “mimic” the private sector in terms of labour relations and this is a situation that only looks to get worse. I believe UNISON has a real role to play in campaigning to ensure that the community sector is part and parcel of a quality public sector, rather than a cheap alternative. If elected I will play an active role within the service group executive, acting as a prominent voice for the London region. I will work closely with community branches within the region as well as those branches that have members in our sector, listening to views and opinions and advocating these at the SGE. I will regularly report back to the regional community service group, and keep members updated of the picture of the service group nationally. Ballot papers will be delivered to your home address on 10 April. Look out for the envelope & please use your vote to elect your SGE Reps for the next 2 years. On Sunday 22 April 2012 there is a commemoration of the 80th anniversary of the Kinder Scout mass trespass. In 1932 land owners employed games keepers to keep out walkers who were determined that they should be allowed to walk the moors freely. There was scuffles and a number of trespassers were arrested and some were even jailed but the trespass was ultimately successful since it helped bring about the movement for the "Freedom to Roam" and the establishing of National Parks in 1949. 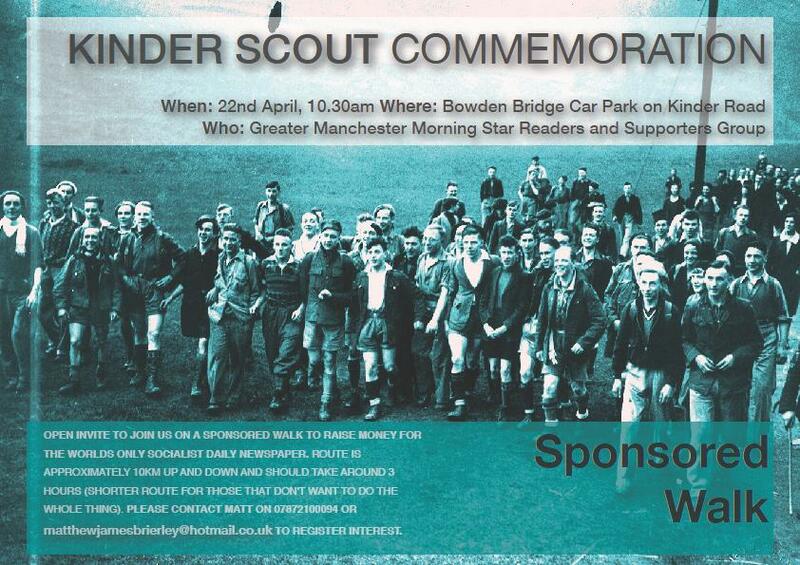 There are a number of events to celebrate this anniversary including this sponsored walk for the Morning Star. The Ramblers are encouraging people to send in photos of blocked footpaths. By coincidence rather than design I walked up Kinder Scout during its 75th Anniversary. I can't take part this year since on 22 April I will be be in London taking part in the Marathon (wishing I was somewhere, anywhere else, especially the lovely Peak District). 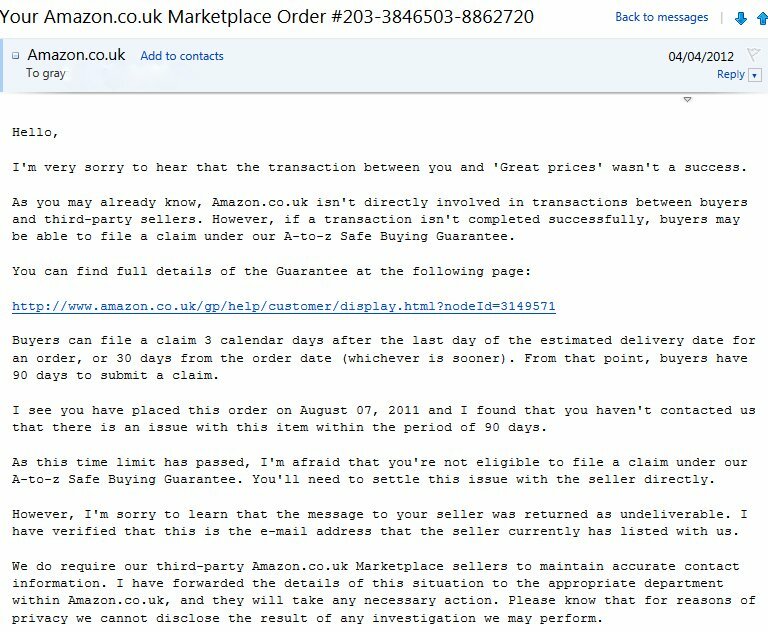 On the day before the media reported that on-line retailer Amazon was being investigated because it paid no UK Corporation tax on sales of £7 billion I had my own little "run in" with them. In August last year I bought a Sonic electronic toothbrush from "Amazon" for £65. A few weeks ago it suddenly gave up the ghost and stopped working. Tried to recharge it etc but nothing. Since there is still at least 4 months (arguably 16 months) of the guarantee to go I went on the Amazon web site to find out how to get an exchange or refund. I then found out that I had actually bought the toothbrush from one of its "third party agents" called "Great Prices". I had to email this agent via Amazon which I did. Amazon then advised me that their email address of Great Prices was not working so my email was not delivered however Great Prices would still see my communication (somehow?). I waited a few days but heard nothing so tried again. Same response, so I contacted Amazon on-line and this reply above came back. Amazon has completely washed it hands of the matter. They refuse to honour the guarantee of the product that had been sold to me on their site and they are even refusing to give me the contact details of their agent! How on earth am I suppose to try and claim my money back? They have since sent another email refusing to investigate my complaint against them saying this has nothing to do us Gov! I won't accept that excuse. Amazon has made money out of this sale. If they host such agents and allow them to use their name and payment system they should protect their customers when things go wrong and not run away and leave them in the lurch. I will also have to try the manufactor and trading standards. 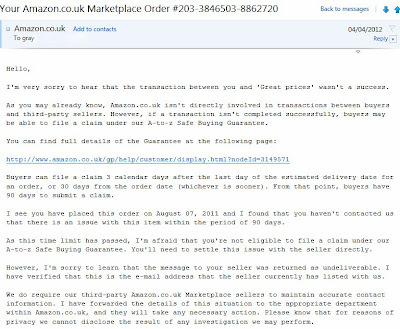 So do not buy anything from Amazon 3rd Party agents since if they disappear (or whatever) after 90 days then you have no come back. Actually we shouldn't be using Amazon at all. On one level I suppose I should have known better. Amazon is an virulently anti-trade union employer and organisations that treats its workers badly also treat their customers with contempt as well. Reminds me of my ongoing fun and games with Richard Branson and Virgin media. It now appears that Amazon has been cheating British tax payers. No surprise really. I will let you know how I get on with my quest for a refund. 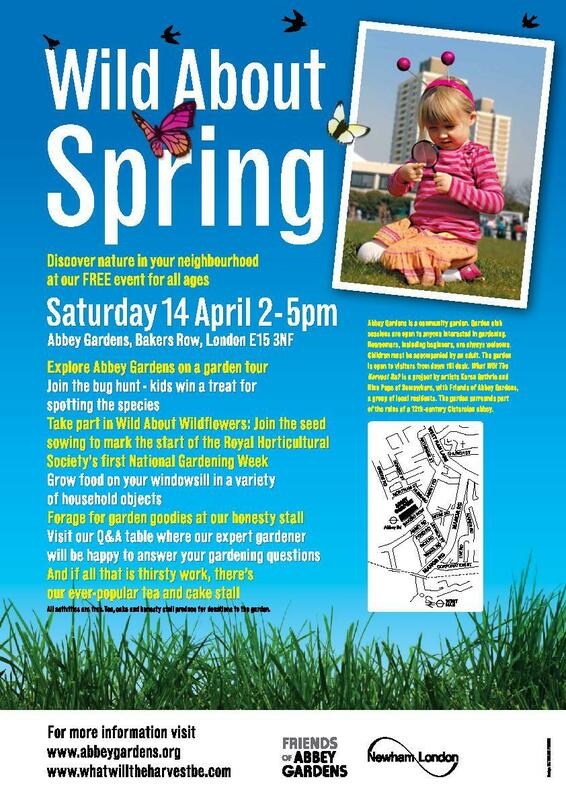 This "Wild about Spring" event will take place on Saturday 14 April 2-5pm at Abbey Gardens, Bakers Row, West Ham, E15 3NF. 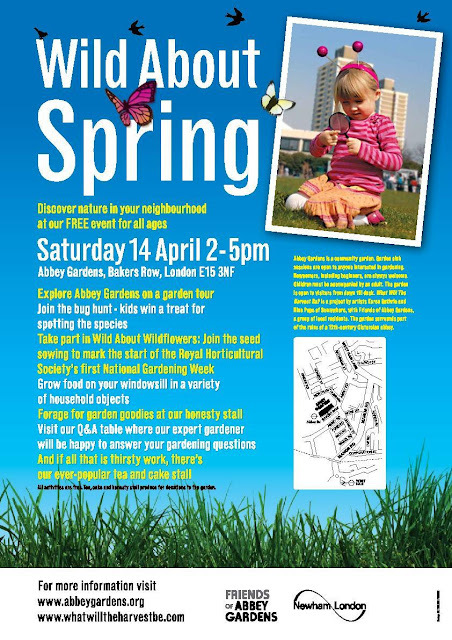 Abbey Gardens is a fantastic community garden project in West Ham Ward on the site of a 12th Century Abbey. This is a great photo I think of some of the UNISON Labour Party activists at the telecanvass bank in our headquarters in Euston this evening. I helped out tonight for the first time and was very impressed with the modern technology that UNISON has and the ease of contacting members. 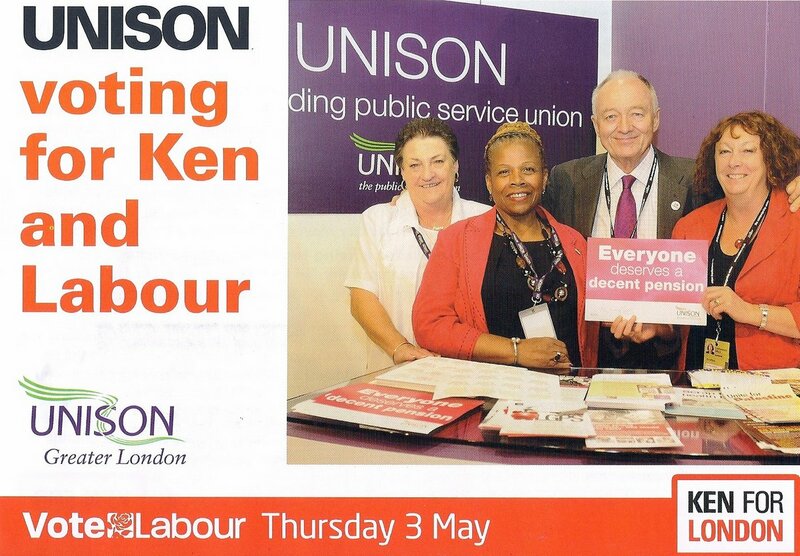 We rang UNISON members for voter identification purposes in the London Mayoral and Assembly elections. By coincidence this evening we called up UNISON members in my own Borough, Newham. There was a software training session beforehand but once we were up and running we contacted 200 members in just over an hour. Which is pretty good going. Double click picture to bring up detail. "I felt sick to my stomach when I saw the news from Bradford. George Galloway was an appalling MP for Bethnal Green and Bow which is why the people of Tower Hamlets rejected Respect so decisively in May 2010. I hope you can stop the rot quickly and avoid losing council seats in May. I don’t pretend we’ve got all the answers for you as you work out how to tackle Galloway, but we’ve had nearly ten years to learn some lessons. You’re the experts on your area, so make use of this as you will as you rebuild the Labour party in Bradford West. Whilst Galloway’s core supporters are rallying and celebrating, many local people will be feeling uncomfortable with what’s been done, or nervous of the consequences. Oona was amazing in the period after her defeat, attending meetings and talking to people, acting as a focus for worries and uncertainty – still trying to do casework! The Labour Party was visibly still there for people even when we had lost. That was a basis for rebuilding. 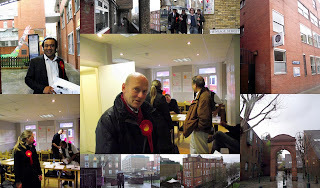 Jim Fitzpatrick MP was then stalwart in dividing his time attending campaign sessions in his own seat in Poplar and Bethnal Green and Bow until we selected our new candidate. You’ve seen the politics of division at work. “Real” Muslims vs “thirsty” Muslims. Vicious lies have become key campaign tools for some in Tower Hamlets, from claims that Oona wanted to ban halal meat to lies about mayoral candidate Helal Abbas being a wife beater. In my council election in 2010 many people in the ward received a letter telling them not to vote for me because I was a Jew. (I’m a Christian, but facts are beside the point). By that evening our ward activists had written, stuffed and distributed a letter to those thousands of voters setting out our opposition to that politics of hatred. Our support from local Bangladeshi Muslims strengthened. The lies and hatred must be challenged. 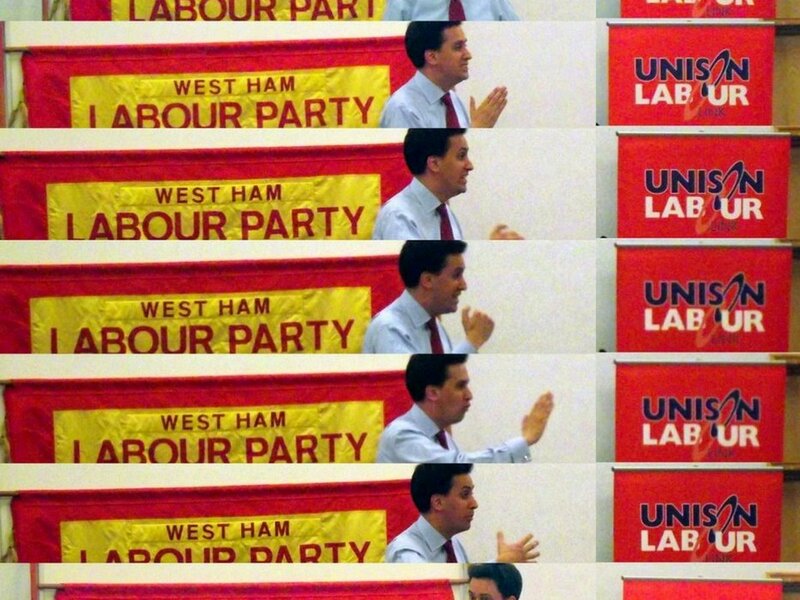 It’s too easy sometimes for Labour Party officers or staff to enforce the use of an old campaign formula because it worked before, or it’s what they know. Our best election campaigns have been formed through having a strategic campaign lead and leaving space for people’s good ideas. Everyone has to be able to make a contribution and it has to be valued. Fighting these people is tough, and investing in relationships to build the Labour Party’s resilience is important. Get your own house in order, but always have a hand out to those who truly want to come home and help Labour win again. Some of your members will have asked people to vote for Galloway. They can’t be Labour Party members any more – we have rules, and we can’t let the party rot from within. At the same time, Labour won’t win again without the support of some of the people who voted Respect. Tough judgement calls to be made. Never retreat into campaigning comfort zones. If we believe in communities where people from different backgrounds live alongside one another, we have to model that and learn from one another. Mono ethnic canvassing teams send the wrong message. If there’s a big Iftar party take someone who’s never been inside a mosque to share the food. It’s not only bright young graduates or long term campaign experts who enjoy voter ID number crunching – every activist should be briefed and engaged. There’s no such thing as a “community leader” who can single handedly deliver huge blocks of votes. In my ward there are a number of women’s circles who come together for Islamic prayer and to talk about their children, family budgets…exactly like the mother’s coffee mornings in the church hall in the village in Wiltshire where I grew up. We win when we are where people are. In any election, we have to appeal to people’s heads and people’s hearts. Respect feeds on anger and alienation. Labour can remind people of our achievements and set out a strong policy programme for the future. We only win when we also have a strong message of hope that people can believe in. Working out clever policies and presenting ourselves as competent bureaucrats won’t be enough. Good luck. Let us know if we can help". The clock is ticking. Far, far too fast for my liking. 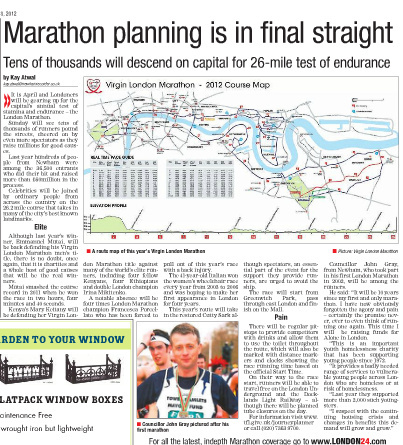 Now there is less than 3 weeks to go before the London Marathon 2012. 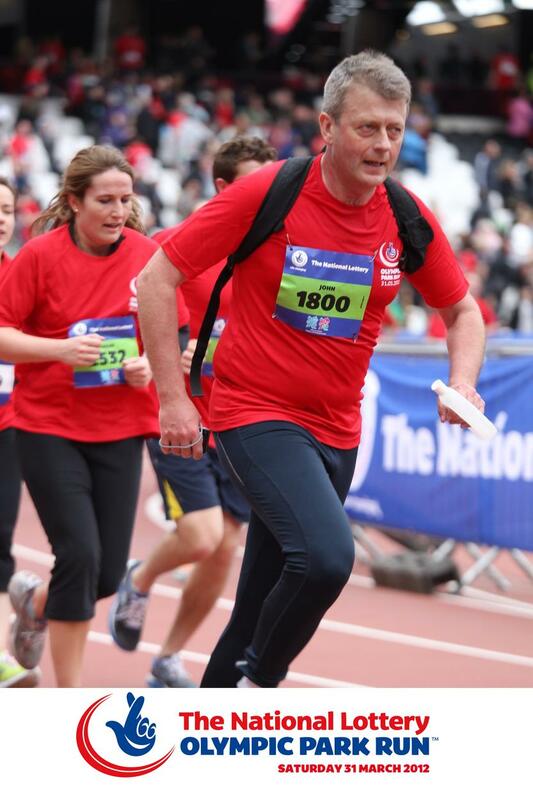 On Saturday I took part in the National Lottery Olympic Park Run. I had thought when I entered that it would be "a walk in the park". After all.."it's only 5 miles", surely nothing to a serial 2 hr cross country runner such as moi? I've also been training for 24 weeks - don't you know! Yeah. The run was b***dy awful. While the Olympic Park route and Stadium finish was wonderful the race was hard and exhausting. It was good practise for me since when you run solo you forget what it is like to run with others who may get in your way or you in theirs. There is also a competitive urge when you are amongst a pack of people which make you want to race rather than run or jog (my usual preference). It took me 47 minutes (dead) to finish and at the end I felt utterly knackered. To keep to my training programme I had jogged from Forest Gate to Stratford to join the run and once I got out of the stadium I jogged (slowly) back home. The next morning I felt completely drained and very sore. Of course the memory of running to the finish (see picture above) along the Olympic stadium race track while listening to the broadcast music from "Chariots of Fire" and spectator cheers was an unforgettable experience. On Sunday April 22 2012 I will have to run 5 times plus this distance! I am running the London Marathon for a charity set up to prevent young people becoming homeless and helping them if they do. Check out "Alone in London". Click here to sponsor me on the Justgiving website or click below. 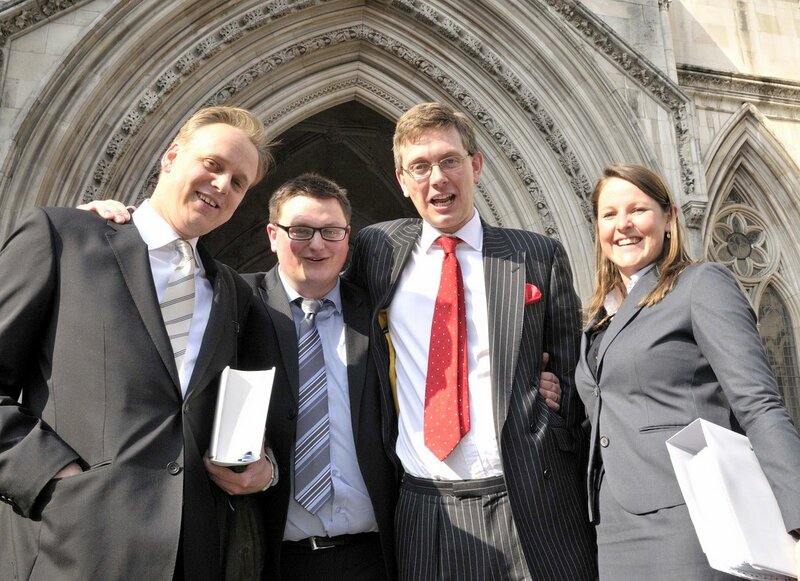 Claimant get £75k Costs Judgement against him in Richard Dawkins, Amazon and Vaughan Jones Libel "strike out". awarded against the claimant Christopher McGarth. I do actually blame the court process and the law for this complete and utter waste of time and a huge amount of personal, company and public money. Litigants in person who have frankly ridiculous legal cases are allowed by the Court to bankrupt not only themselves but also those they perceive to have grievances against almost regardless of the merits of their often weird and wonderful claims. There is a 39 page written judgement with regard to this latest case which is mostly legal gobbledygook. However I was pleased to see a couple of references in the judgement justifying the strike out to the completely bonkers Kaschke case that I had been most unfortunately a party to. Fellow libel survivors David Osler and Hardeep Singh joined Vaughan outside the Court (see 2nd left with legal advisers including the indomitable Robert Dougans 3rd right). Afterwards we went for some celebratory sherbets in a local hostelry followed by the traditional basement "libel victory curry" (joined by my best mate ever Mrs Stroppy Olser!). Media lawyer David Allen Green (aka Jack of Kent) also assisted with the defence. When he posts on case I will link. 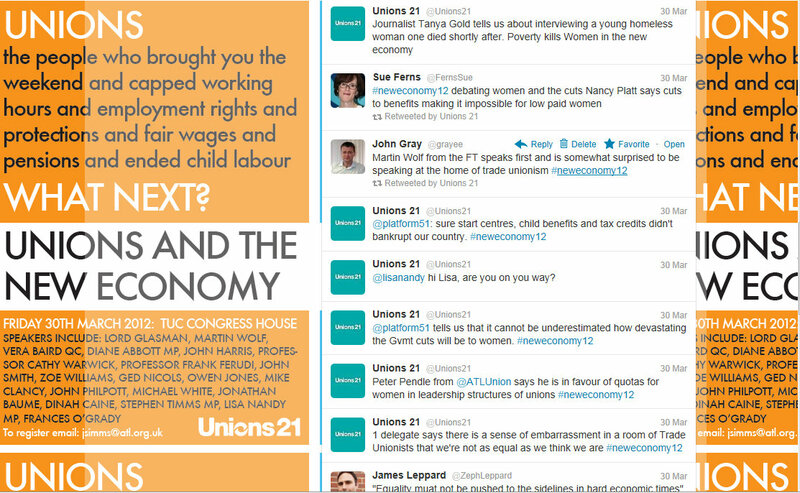 On Friday I went to a well attended Unions21 Conference on the "New Economy" at TUC Congress House. 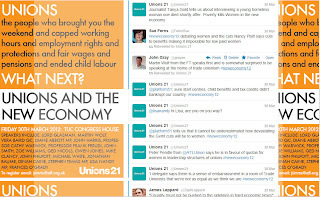 Unions21 describes itself as a "an ‘open space’ for discussion on the future of the trade union movement". Which I thought it certainly achieved that day. There was a series of speeches, workshops and debates. Frances O'Grady (TUC Deputy GS) was opening key note speaker. I attended a workshop on "What does Good Work Look Like" then a debate on "Women, Power and Trade Unions". After lunch I went to another workshop on "Can the Private Sector really drive Growth?" then I enjoyed immensely the final "Question Time" debate. I was my normal gobby self with questions to the panels and I did "tweet" during the conference on various bits and bods that took my fancy. Check out all such contributions on #neweconomy12 hashtag. Is there any similar "blue sky" open forum on the future of trade unions? Hat tip timminchen (who suggested another video but I think the original is best).